Despite Southeastern lines being a core link connecting towns across south east London, both with each other and to the centre of the city, the routes seem almost invisible to a number of organisations and authorities in the capital. Last month a report was released, which was backed by the Greater London Authority. It looked at how, and where, 600k people (about five years population growth at the moment) can be accommodated, and transport links to get them about. The glossy maps drawn up showing areas of development, and public transport lines, showed every TfL service – Underground, DLR, Crossrail, London Overground and even the bloody cable car. Over the river in the east, c2c rail lines were also shown. But the Southeastern line connecting many areas of major growth shown on the map such as Erith, Thamesmead, Abbey Wood, Woolwich and Greenwich, was notable by its absence. This week I saw that Len Duvall, who represents Greenwich and Lewisham at the Greater London Authority, wrote to the Evening Standard about population growth and the pressure on services. He mentioned buses and tubes. Nothing about the train service which are growing quickly, and a core method of transport in his constituency. Perhaps he did and the Evening Standard cut it. It wouldn’t be a surprise – they often seem oblivious to transport in the south east. I’ve wrote before about how stations like Deptford have seen 11% more passengers over the past year alone. At Kidbrooke it’s 19%. With the towers beside the station now underway, that level of growth could become the norm over the next five years. In addition, TfL and Network Rail are looking at a 20 storey tower the other side of the station. But TfL and NR aren’t in charge of securing more trains – the Department for Transport are, and they seem resolute in doing little for the area. Local Conservative MP’s like to put out press releases bemoaning the service, conveniently ignoring it’s their colleagues that run the DfT and make the decisions on what trains go where. Southeastern themselves have little to do with it. If the DfT decided to, SE would have more stock to lengthen trains in 2016. I’m not letting Labour off though – they re-privatised the lines in 2006, enforced the nation’s highest fares increases for four years and did not allocate any extra trains. Just yesterday a news story came out of an order of 80 new carriages. It follows various over the past few years. It’s very unlikely they will head to Southeastern, just like all the previous orders. Just about every other train company serving London has seen a fair bit of new stock the past five years, or confirmed orders for the next few years. Much new or additional stock is coming to Southern, Thameslink, South West Trains, London Overground, First Great Western, c2c, Chiltern and London Midland. Only Greater Anglia havn’t, but most of their suburban services passed to London Overground in May, and TfL have already ordered dozens of trains for those routes. Southeastern’s services seem absent from the consciousness of various authorities and decision makers. Who is fighting the areas corner? There’s a couple of good MP’s, such as Labour’s Teresa Pearce who has been meeting the DfT and ministers, but she seems the exception. It could well be that chances of more stock arriving next year, which Southeastern is in competition for with various other regions of the country, will be lost. 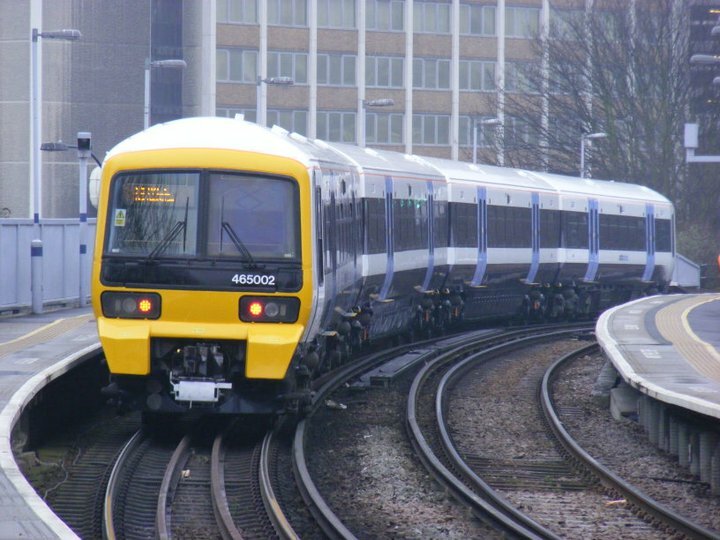 They are 30 year old trains being displaced as Thameslink receives thousands of shiny new carriages, but even a handful could allow many services to be lengthened. But will it happen with the area’s rail network seemingly overlooked? this week during the DLR strike I had the joy to experience how bad the train is first hand, and it is in fact impossible to get on any train if you board at London Bridge to get to Woolwich and / or beyond. The trains once you managed to get on are fully packed like sardines!! When will London get double decker trains like Germany/Holland/Belgium? Sadly, the UK will never get double deck trains without a huge rebuild, as the loading gauge is too restricted. An experimental design was tried on the North Kent lines in the 1950s, but the unusual layout only worked with slam doors, and it was very slow to unload and unload at stations like London Bridge where speed is of the essence. Actually the Crossrail project is a missed opportunity if there was a determination by the govt to have a re-design of trains, I think they could have brought in double decker trains to increase capacity on the crossrail network and make it more future proof. I am very nervous that once crossrail opens it will soon become overcrowded and outdated in terms of meet future capacity. I completely agree with “annoyed”. I too had the misfortune of having to board a London bound Southeastern train over the past couple of mornings from Plumstead and Woolwich. I was staggered at how busy the trains got. When the train pulled in it was standing room only and it rapidly got rammed. The train that I boarded this morning had one carriage empty because the doors didn’t work! That was appalling and was clearly Southeastern’s fault for not maintaining the rolling stock properly. At the train became busier and busier after each stop the train became more and more delayed as passengers desperately tried to board and then the train crawled from Deptford to London Bridge to only exacerbate the situation. And then when we finally got off at London Bridge we were told that London Bridge tube station had been closed due to over crowding!! Before the DLR opened, I never knew the trains to be that busy. Not knowing much about railways, I doubt the Thameslink rolling stock could be used on the Southeastern railway. Don’t the Thameslink trains use over heard and third rail power? The Southeastern rolling stock I don’t think is in bad condition, but I just wish all the peak time trains were at maximum (10 carriage) capacity and that each carriage is actually operational! Even the website is crap. The website should clearly reflect actual departures boards so you know whether to bother going to the station or finding alternative modes. Southeastern have these “Meet the Manager” events in the morning at Cannon St, but when the train is late and I’m late I don’t have time to meet them and give them a piece of my mind. A lot of the problems on Southeastern are the result of the rebuilding of London Bridge station, which is currently missing several tracks and platforms on the SE side. This should improve eventually (2018) when the work should be finished. These problems have been going on for ages, long before the LB work started. Chronic underinvestment by Southeastern, poor mangement by DfT and a lack of interest by TfL. Rolling stock is faulty and filthy (depite ‘deep clean’), stations are falling apart (Hither Green). Local MPs whinge and “understand the problems” but action nothing. Southeastern is easily the worst operator in the London metro area. Should form the next part of the direct operation takeover by the Overground asap.